The 1522LR Logic / Relay Module is a cost effective interface module that operates as an integral part of an IED GLOBALCOM® system. It is a web-enabled, programmable relay device for a wide variety of remote control and automation applications. It has two electro-mechanical relays, two optically-isolated inputs, and a wealth of cuttingedge features. The relays can be controlled remotely using actions configured in the GLOBALCOM® control software. The optically isolated inputs can be used trigger actions or as logic monitor points that will register faults in the system. 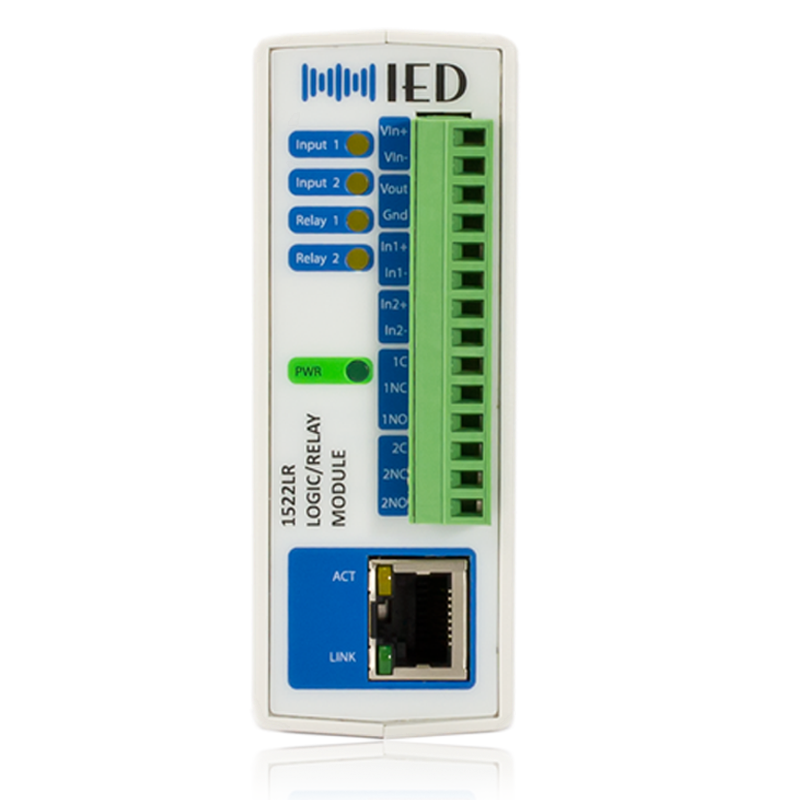 The module receives its power over IEEE 802.3af PoE (Power over Ethernet) and communicates with other system devices over the Ethernet network.